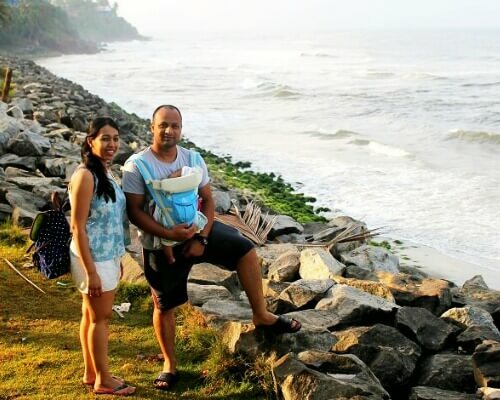 30 Tourist Places To Visit In Cochin In 2019 With Your Family! 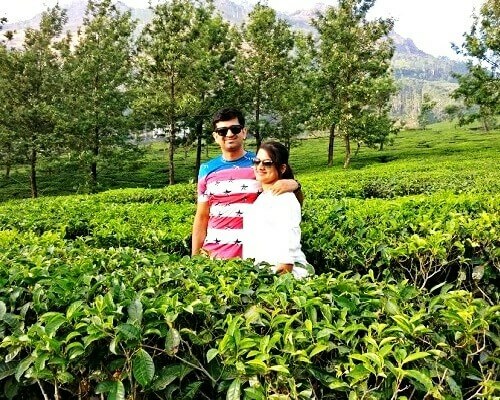 For those who wish to explore the real treasures of Kerala, here we go with the list of places to visit in Cochin. 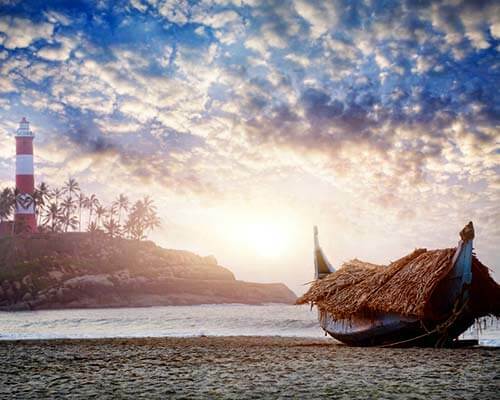 Beaches and backwaters, tea plantations and spice estates, hot steaming appams with stew and vibrant Kathakali performances – these and much more epitomize the God’s Own Country, Kerala on the global tourism map. However, Cochin stands out. 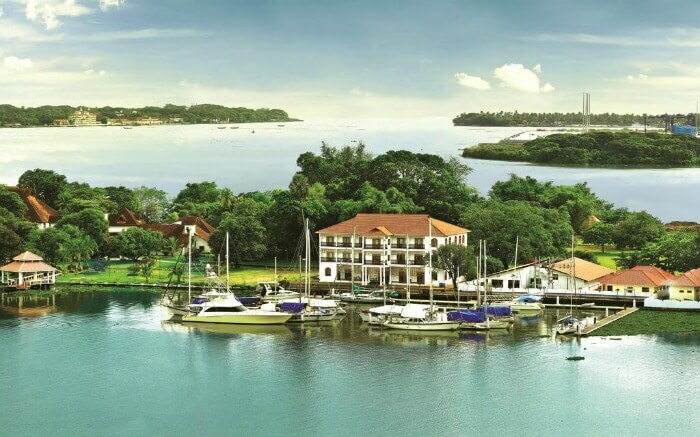 Cochin has an altogether different signature – history and tradition woven together with modernization. 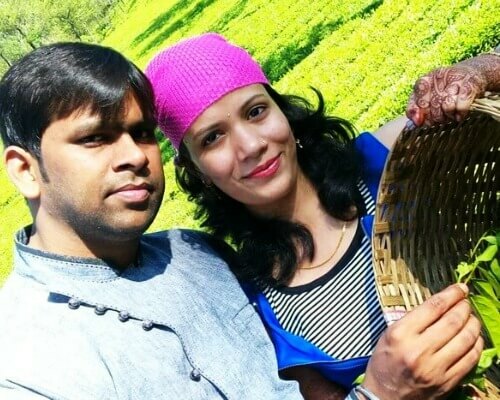 The places to visit in Cochin, especially the best ones, are absolutely captivating, and sure to leave you with a bag full of beautiful memories and aspirations. Before starting with the list, let’s share a brief history of Kochi, previously and more popularly known as Cochin. It is an important port of south-west coast of India and was once a significant spice trading hub. If we go back to history, we see Greek, Roman, Portuguese, Arabic and Jewish settlements in Cochin for trade and commerce purposes. The city is also referred to as Ernakulam. 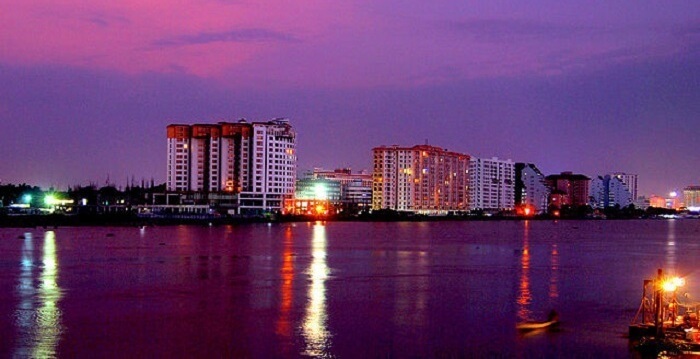 Today, Cochin stands as an important city and tourist place in Kerala. It is also popular with tourists heading South for a religious tour. Each one of the mesmerizing 24 places to visit in Cochin has some kind of historical and colonial significance to it. 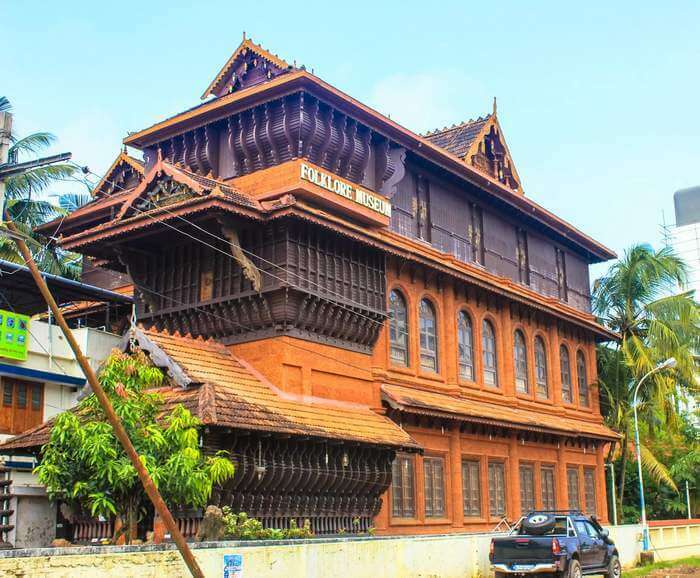 Mattancherry Palace, located in Palace Road and built by the Portuguese as early as 1557, is considered to be one of the important places to visit in Cochin in 1 day. 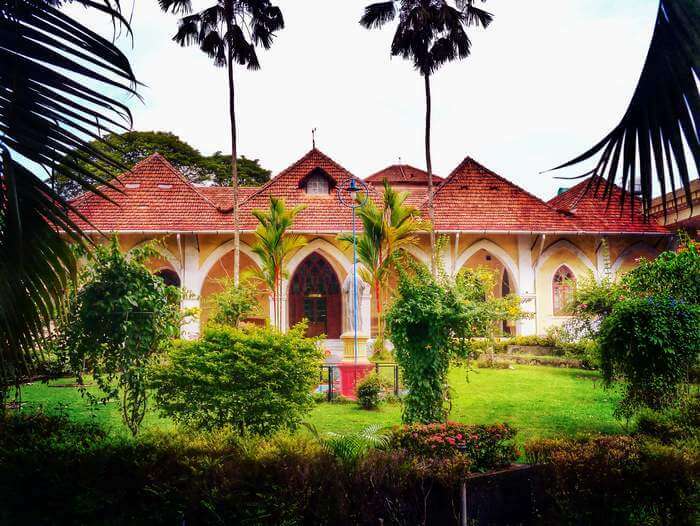 Popularly known as Dutch Palace, it has the style and architecture that resembles a typical traditional Kerala house with four individual wings and a patio in between. 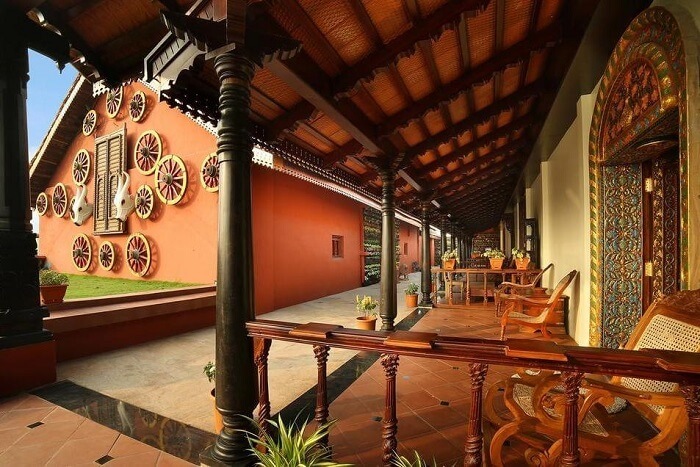 Don’t miss: Like every Kerala house, Mattancherry palace also has a courtyard in the center. 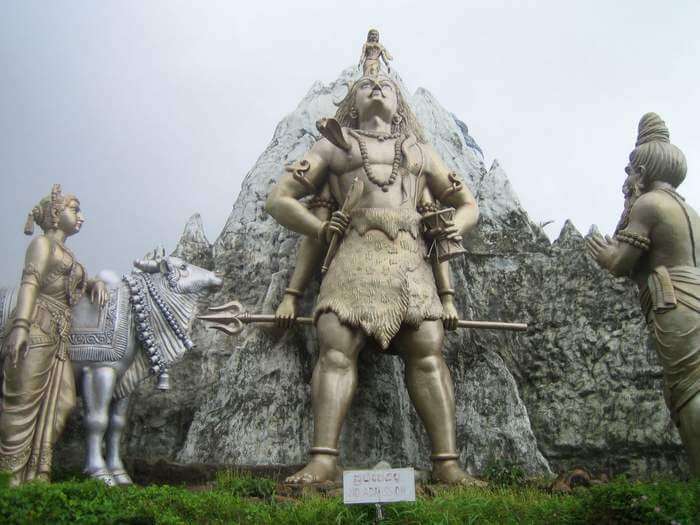 The courtyard has a beautiful temple of Bhagavati, the protective deity of Kochi community. There are two other temples of Shiva and Krishna inside the palace. Also, the collection of frescos and paintings covering a large portion of the palace walls is worth seeing. However, don’t restrict to the interiors of the palace. Take in the beauty of its famous sprawling gardens and manicured lawns, that earned it a spot among the best tourist places in Kochi. Opening hours: 10 am to 5 pm. In between, the palace is closed from 1 pm to 2 pm for lunch. The Palace is closed on every Friday. Plan accordingly. Entry fee: INR 2 per head. Yeah, read again to believe. The Indo-Portuguese Museum is an amalgamation of Indian and Portuguese culture and architecture. 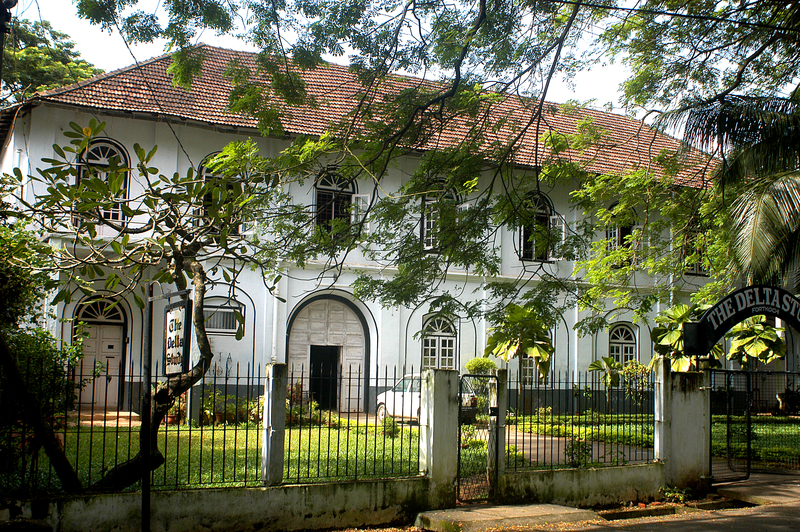 Located in Fort Kochi area, it was built by former Bishop of the city, Joseph Urethra. The museum is divided into 5 wings exhibiting Altar of Furniture, Treasure, Procession, Civil Life and Cathedral. Don’t miss: The museum houses some prized artifacts like Processional Cross made of silver and wood, Indo-Portuguese Monstrance, and Coat of Arms of the Francis. Opening hours: 10 am to 5 pm. The museum is closed on every Monday and public holidays. Entry fee: INR 10 for Indians and INR 25 for foreigners. However, if you happen to visit on the first Thursday of the month, entry is absolutely free. Built in 1568, Paradesi synagogue or the Jewish synagogue is the oldest one amongst all commonwealth countries. 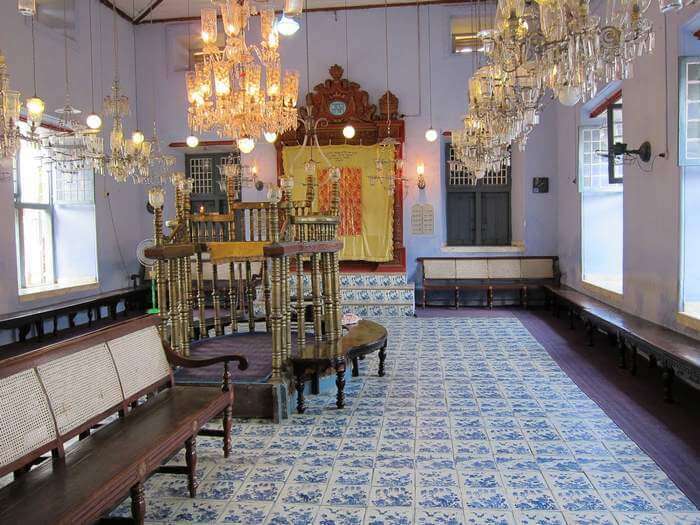 Jewish synagogue is located in Jew Town area of Cochin and was built by Cochin Jewish group or Malabar Yehudan people. Don’t miss: Paradesi synagogue houses very rare and appreciated antiques like carved teak ark with four scrolls of Torah (the first five books of Old Testament), silver and gold crowns, chandeliers made of Belgian glass, century old copper plates, hand-woven oriental carpet and a clock tower. Opening hours: 10 am to 12 noon, and 3 pm to 5 pm. It is open all days of the week. Entry fee: Entry is free inside the synagogue. 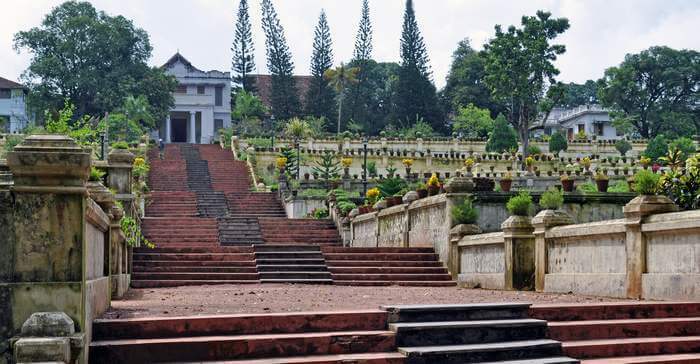 Hill Palace is a heritage museum and houses many archaeological relics and imperial belongings of the Maharaja of Kochi. The palace was constructed in 1865 and comprises 49 buildings. The beautiful gardens and refreshing outer facade of the museum are added as a bonus, besides the real knowledge and artifacts huddled inside the buildings. Don’t miss: Along with modern-day art gallery, other popular objects worth seeing are Kudakkallu (tombstone), Thoppikkallu (hood stone), granite & laterite memorials, rock-cut armaments of the Stone Age, wooden temple replicas, and plaster cast prototypes of objects of Mohenjodaro and Harappa of the Indus Valley Civilisation. If you a history or culture buff, Hill Palace is certainly among the best places to see in Cochin. Opening hours: 9 am to 12 noon, and 2 pm to 4.30 pm. The adjoined Children’s park is open till 6 pm. Mondays are weekly off for the palace. 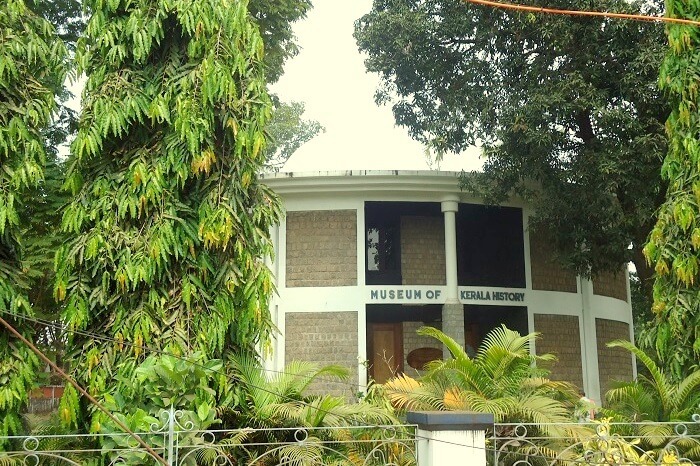 Kerala Folklore Theatre and Museum is one of the popular tourist places in Cochin. It displays cultural exhibits and folk-tribal objects of the state. The museum is a 3 storeyed building, inaugurated in 2009 and representing the real legacy of Kerala. The building’s facade had a very strong Malabar architectural influence. Don’t miss: Folklore Theatre and Museum displays traditional Kathakali masks, costumes, sculptures, musical instruments, ornaments, and utensils which belong to the historic stone age. Do not miss the manichitrathazhu, a traditional ornate door lock of Kerala while you enter the building. Opening hours: 9.30 am to 7 pm. 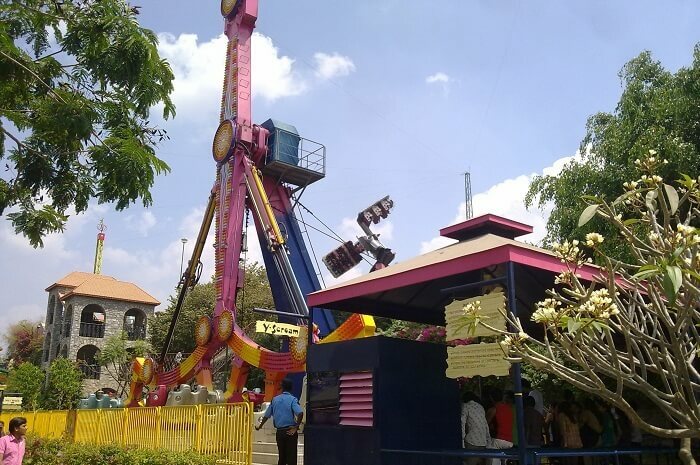 Popularly known as Wonder La Amusement Park, Veegaland is the country’s first theme park and one of the most happening places to visit in Cochin in 2 days. 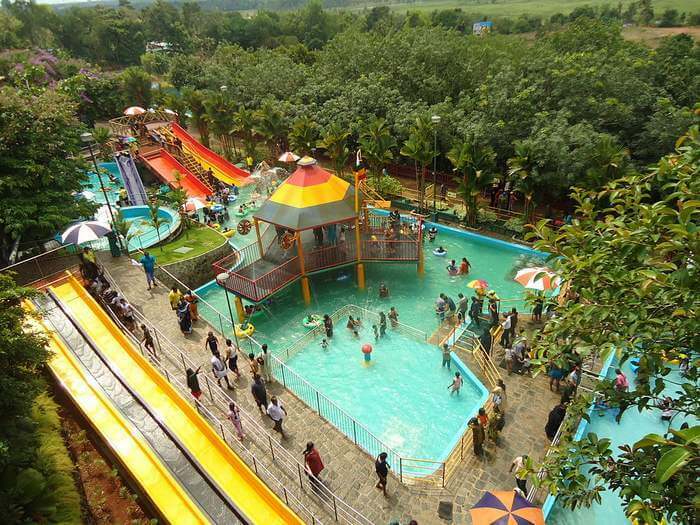 Located on a hilltop, Veegaland is famous for thrilling and fun-filled rides, thus making it perfect for a family outing. 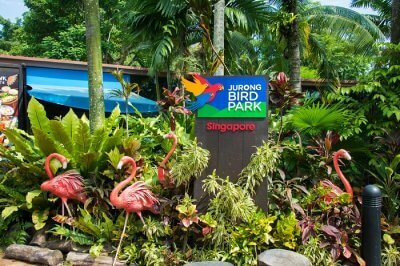 Don’t miss: The park comprises exhilarating land and water rides. One can enjoy bumping cars, dancing cars, musical fountain, flying ammu, convoy – the toy train for kids, balloon tower, castle jet, wonder splash, rapid river, boomerang, water coasters and much more. If you like adventurous rides, go for twin flip monster, vintage tornado, thunder fall, space gun and maverick. Show the world how daring you are! 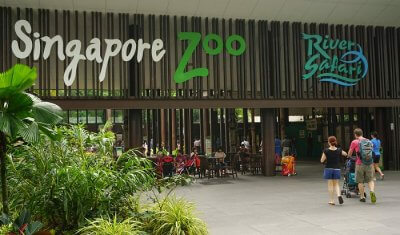 Opening hours: 11 am to 6 pm on weekdays, and 11 am to 7 pm on weekends and holidays. Entry fee: Veegaland has a concept of Regular and Fastrack tickets. The latter allows tourists to enjoy rides with a shorter queue and lesser hassle. However, it costs more than the price of regular tickets. Also, Fastrack tickets are limited to 500 PAX in a day, so it basically serves the first-come-first-serve purpose. Moreover, ticket prices increase on weekends and public holidays. Know more here. This biosphere reserve located at Central Cochin is a natural habitat to many endangered and regular species of local and migratory birds, as well as mangrove vegetation. 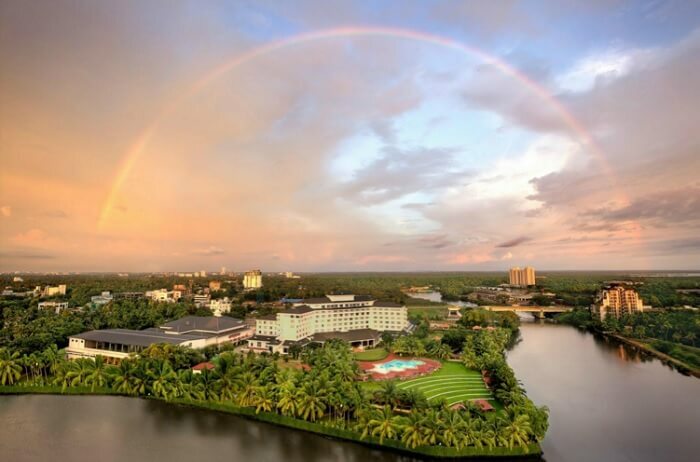 The sanctuary encircles a tidal lake which is connected to the backwaters and one of the imperative places for sightseeing in Cochin, especially for nature lovers. It is also home to several species of fishes. 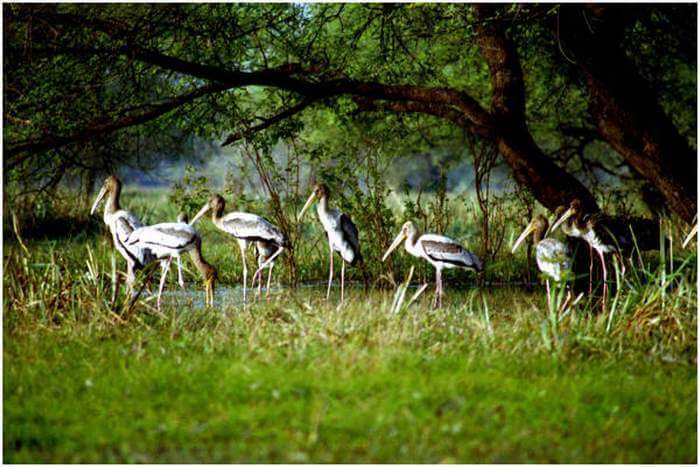 Don’t miss: In 2006, Mangalavanam Bird Sanctuary was home to 194 birds of 32 species. Consider yourself lucky if you happen to spot redshank, greenshank, brahminy kite, white-breasted water hen and marsh sandpiper. The beautiful landscape of the sanctuary has earned it a spot on the list of best tourist places in Cochin. Entry fee: None. However, carry your own water bottles and snacks as the eateries inside are far less and random. 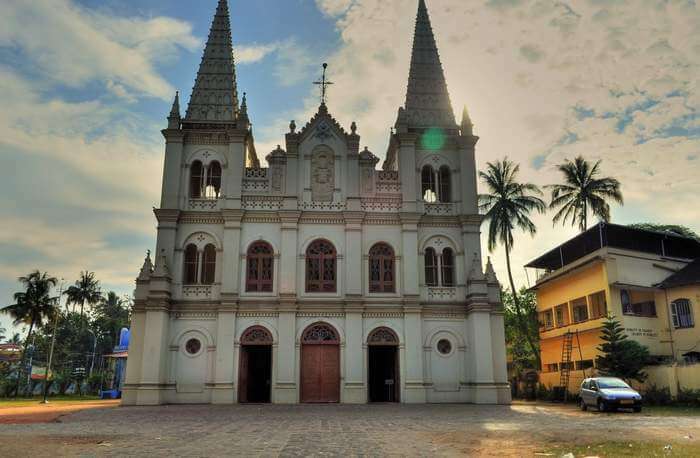 One of the most ancient churches in India and one among the 8 Basilicas, Santa Cruz Basilica is truly one of the oldest and the most beautiful places to see in Cochin. It reflects historical glory and pride. This is the Cathedral church of the Diocese of Cochin and is considered as one of the heritage sites of the state. Don’t miss: Explore the true Gothic pattern of architecture, both on the interior and the exterior. Magnificent historical paintings on the walls of the church must be missed. Opening hours: 7 am to 6.30 pm from Monday to Saturday, and 8 am to 6.30 pm on Sundays. 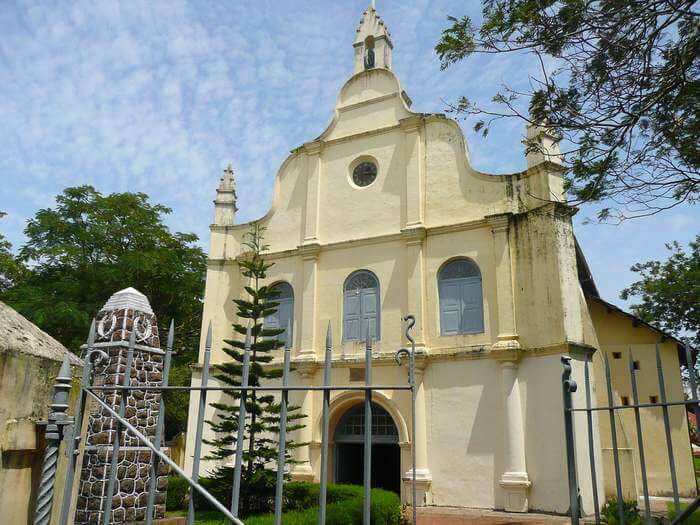 St Francis Church is one of the oldest churches in India, built by the Europeans. It is well-known for its beautiful surroundings, serene environment, and stunning design. Don’t miss: The extraordinary exterior structure with a stepped pinnacle on two sides and the interior with pinnacle, chancel roof along with the baptism platform, book rests, offering and confessional stage are worth seeing. All these reflect the grandeur and charisma of the old-world and its traditions. Opening hours: 7 am to 6.30 pm on all days, except Sundays. The timings are from 8.30 am to 6.30 pm on Sundays. A tranquil and pristine beach, Cherai is dotted with lush green swaying coconut plantations. There are golden sandy beaches, happening beach shacks and plenty of sea shells. A perfect spot to enjoy either your own company or a lover’s hug, away from all the city noises. The serene piece of beauty, Cherai Beach is located at Vypin Island. Opening hours: The best part about this beach is that it’s accessible 24*7. However, we recommend to refrain from entering the water during high tides. 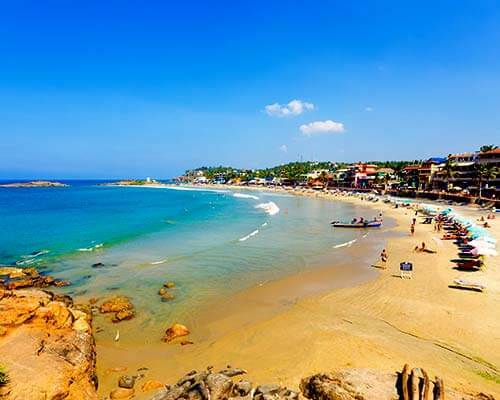 A typical Malabar coastal topography with serene beaches, lush green bordering vegetation, fisherman settlements and sandy shore line sums up the picture of Veeranpuzha Beach. The beach and its backdrop are among the most placid tourist places in Cochin. Certainly a stop that assures calmness, peace and quality time with your near ones. Don’t miss: Explore the surroundings, walk on the beach and visit the fishermen villages to know more about their work and working styles. Opening hours: It’s accessible to public 24*7. However, please respect the privacy of fishing villages and their homes. Gowreeswara Temple Cherai located in the Cherai village area is one of the prime Hindu religious places to see in Cochin. It is locally called Malyala Palani and Muruga Temple. The main God worshipped here is Lord Subrahmanyan. Though the nomenclature is after Lord Gowreeswara, Lord Subrahmanyan’s father. Don’t miss: This is the only temple in India with Chaturmukha Kovil, which is a Dravidian architecture style with doors on all four sides. If you happen to visit in the last two weeks of January and first two weeks of February, watch out for caparisoned elephant march, which is a part of the Cherai Gowreeswara Temple Festival. Opening hours: 3.30 am to 11.30 am, and 4 pm to 8 pm on every day of the week. Located in the downtown Cochin, Shiva temple is also known as Ernakulathappan Temple. It is one of the seven royal temples of Kochi Maharaja and is considered as the one which protects the entire city. 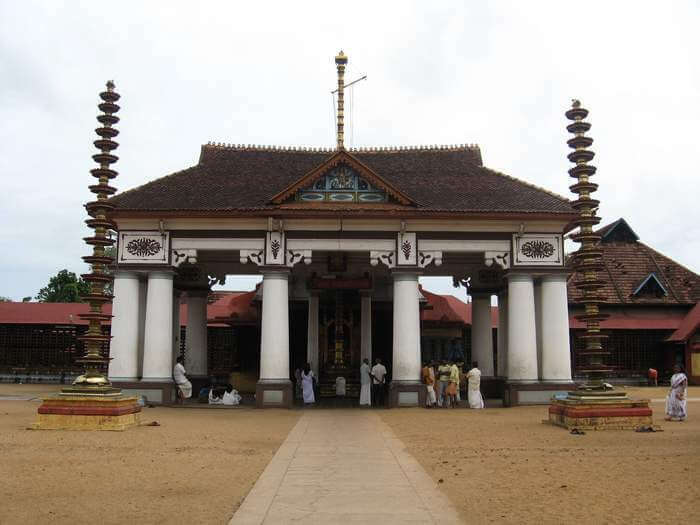 This temple is a popular tourist place in Cochin, not only among locals but also among inter-state visitors. Don’t miss: Observe and marvel at the traditional temple structure that reflects the Malabar heritage, especially the finely sculptured walls, sanctum complex, and delicately decorated gates or gopuram. Ernakulam Mahadeva Temple is located in the heart of Cochin city. It is one of the ancient Hindu temples dedicated to Lord Shiva. The significance of this temple is that it’s the only pilgrimage in South India where the idol of the deity is facing towards the west. Don’t miss: The typical Kerala style architecture and temple pattern. The use of wood, stone, and metal on the exterior, as well as interior, is truly remarkable. Kodanad is a relatively small riverside village in Ernakulam district in Kochi. It is also the home to an elephant training center where the adult elephants are washed and trained. 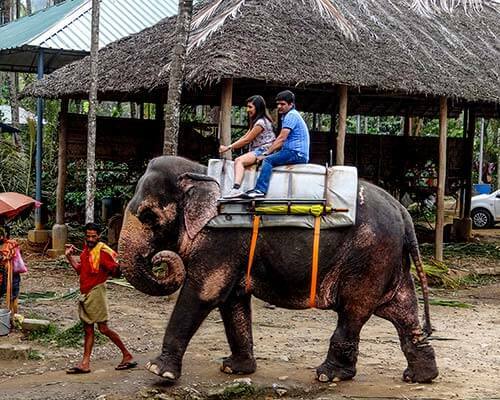 You can come to Kodanad for a day trip and be a part of this unique experience and watch the elephants early in the morning. Watching the elephants roll and play in the water is fun. Don’t miss: Washing and training the baby elephants is a must-do activity in Elephant Training Centre. Entry fee: INR 10 for Indians and INR 25 for foreigners. There is an INR 25 fee for using cameras in the park. 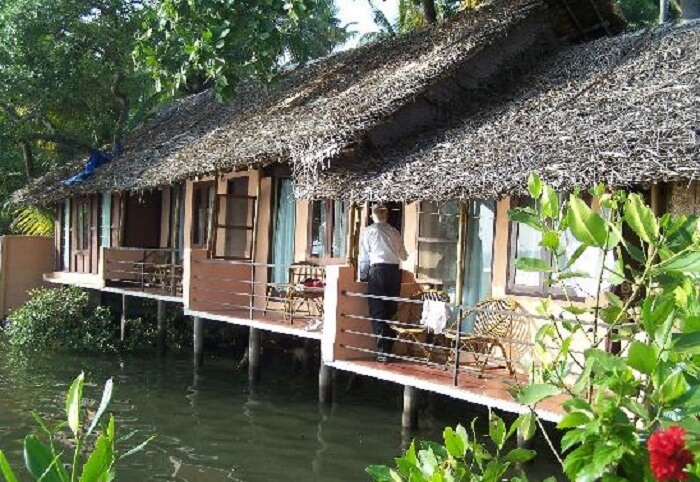 Kadalkkara Lake Resort is one of the most economical resorts in Cochin. If you are trying to escape from the chaotic city life, but are not ready to shell out big bucks, this is the resort for you. Close to nature, close to everything fun in Cochin, and closest to the beautiful Kadalkkara Lake, this resort is truly a reprieve to many. Nestled amongst the green surroundings, and whispering water, this retreat boasts of its cottage style rooms. Don’t miss: The resort has a well-furnished and fully equipped conference hall where meetings and seminars can be conducted. This makes it an ideal place for team outings. Kathakali is a classical dance form originating in Kerala and is quite well known for its fascinating and colorful costumes. The dance form presents themes and stories that are derived from Hindu epics Mahabharata and Ramayana as well as many other folk stories. 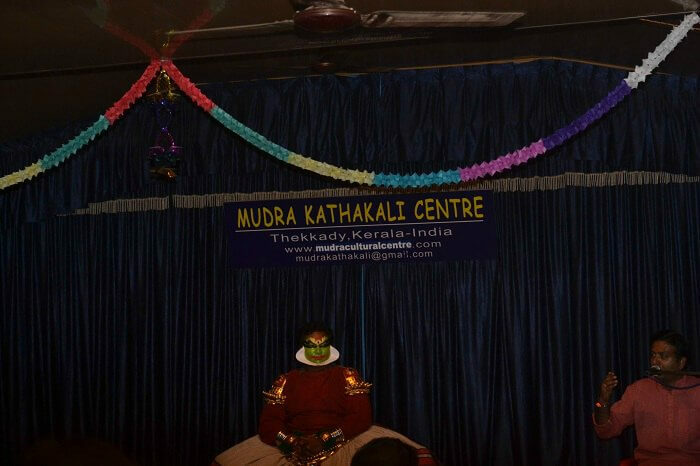 The Kathakali Center in Kochi runs regular performances. Don’t miss: The Kathakali Center offers a backstage look at the artists as they prepare for the classical dance events. 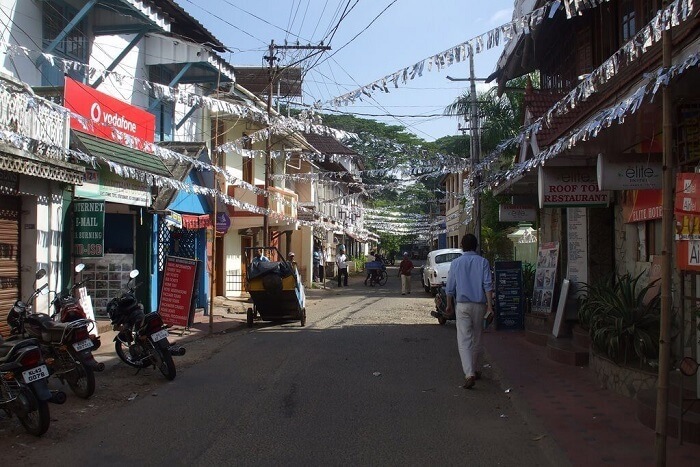 Princess Street, also known as Loafer’s Corner is widely hailed as among the oldest locations in Kochi, which is why it is often loved by tourists. If you are looking for fun things to do in Kochi, then you should certainly visit the Princess Street. It offers the perfect amalgamation of the traditional and modern world. The influence of colonial heritage is strong here as you can see numerous homes and buildings on both the sides of Princess Street that have European architectural styles, mainly British, Dutch and Portuguese. 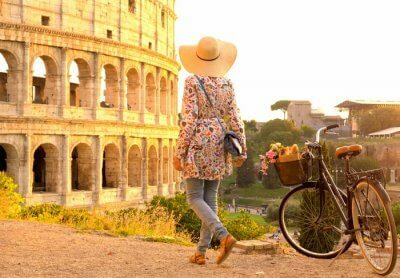 Don’t miss: The place is notable for cafés, street shopping, books stores, handicrafts, and souvenir shops and vibrant people. 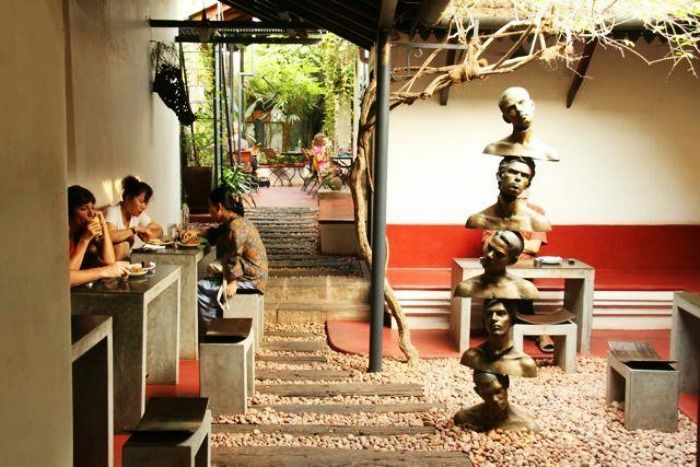 Located at Fort Cochin, the Kashi Art Café is known for its casual vibrations, Zen-like calmness, and an elegant semi courtyard space that are covered with many solid wood tables. The coffee served here is quite strong as well, which should appeal to ardent coffee lovers. A small gallery here presents works created by local artists. You will have a ball here. Don’t miss: If you want to have some nice western breakfast menus and a great lunch, Kashi Art Café is the best place to be. The location of the Ginger House Museum Hotel is unique as well. You will need to walk past Heritage Arts showroom that offers glimpses of amazing antiques and sculptures as well as explores the giant, one of a kind snake-boat canoe. Make sure to stop by here on your Cochin trip. You will have a ball of a time in this place with your family and friends. We can vouch for this! 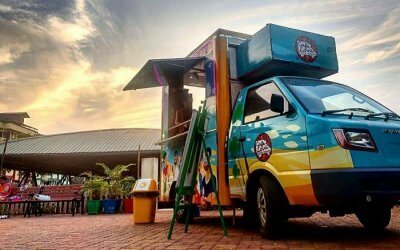 Don’t miss: The Ginger House is an elegant waterfront restaurant that offers some of the most heart-filled Indian snacks and dishes such as ginger ice cream, ginger prawns, and ginger lassi. Munambam Beach is undoubtedly among the loveliest romantic places in Cochin. 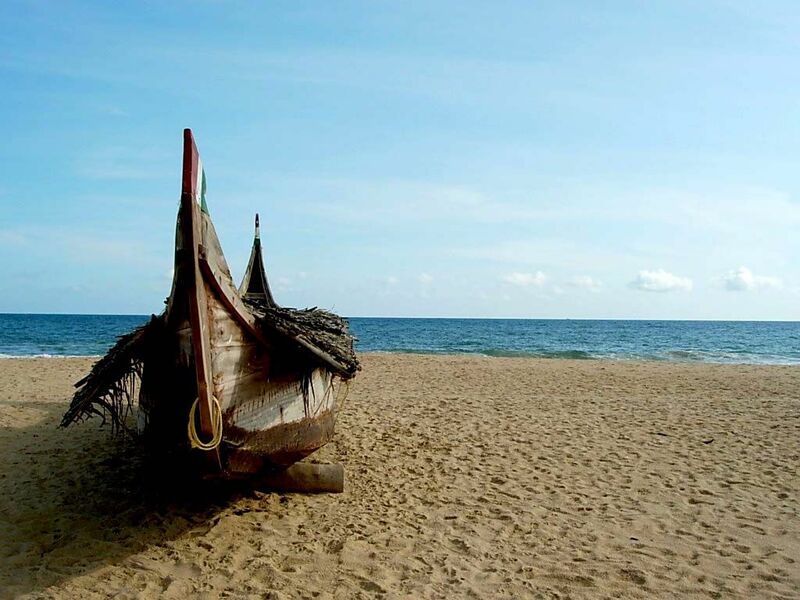 The beach is a lengthy seashore located in close proximity to Munambam Fishing Harbour. If you’re in the mood for some fun, carry one or two kites along as Munambam is considered an ideal place for kite-flying in Cochin. Make sure to stop by there on your trip to Kochi with your pals. Don’t miss: For those lazy evenings, when all you want to do is glance at the sun as it dips in the ocean beyond the horizon. 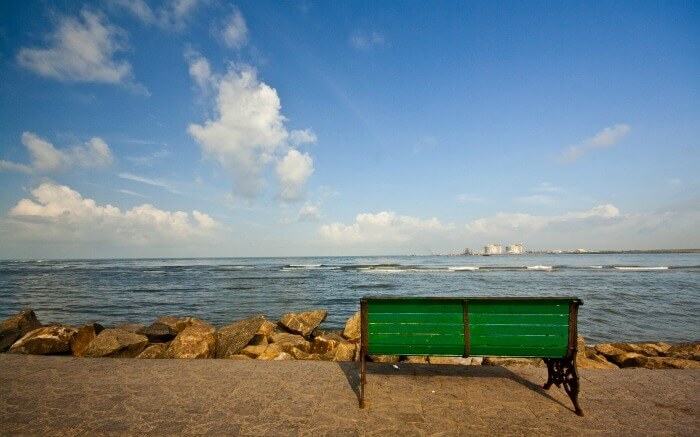 Like most of them in the coastal areas, Marine Drive is among the most beautiful and romantic places in Kochi. Just watching the gamboling waves and the magnificent sunset will leave you mesmerized. After the sun goes down, you can go shopping in the nearby malls and call it a night after a romantic dinner date in one of the restaurants on Marine Drive. Don’t miss: Make sure to book a romantic dinner date in one of the cafes on Marine Drive. It will be worth it. There are some places that do not lose their charm even when they are bustling with tourists. Fort Kochi Beach is one of the best places to visit in Fort Kochi. While you both take a stroll in the walkway of the Beach, the sun will spread out warm tones, the birds will chirp love songs, and the gentle wind will sway by. The captivating beauty will make you forget the people and the noise around. 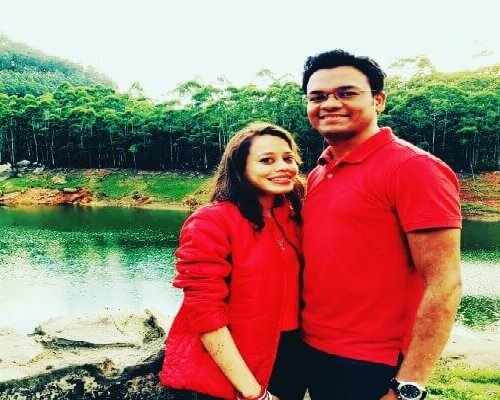 Don’t miss: Besides being among the top tourist places in Kochi, Fort Kochi Beach is also one of the most romantic places in Kochi where couples can find their own tranquil corner. What’s could be more romantic than snuggling with your better half in a magnificent heritage resort overlooking the vast expanse of backwaters of Laccadives Sea? The Bolgatty Palace & Island Resort features palatial rooms in this Dutch property, that dates back to 1744. Many of the top tourist attractions of Kochi like Mattancherry Palace and Marine Drive are within walking distance from the resort. Don’t miss: Spend days exploring these attractions, and dedicate evenings to Kochi backwaters tour. 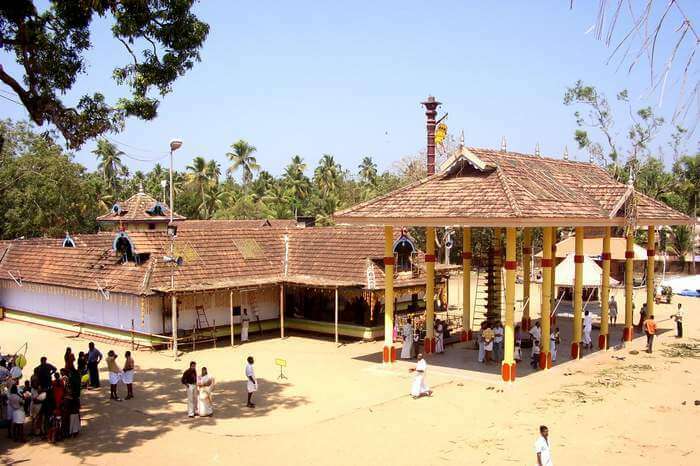 One of the most visited temple located in the south, the Chottanikkara Bhagavathy Temple is a highly revered hindu temple. 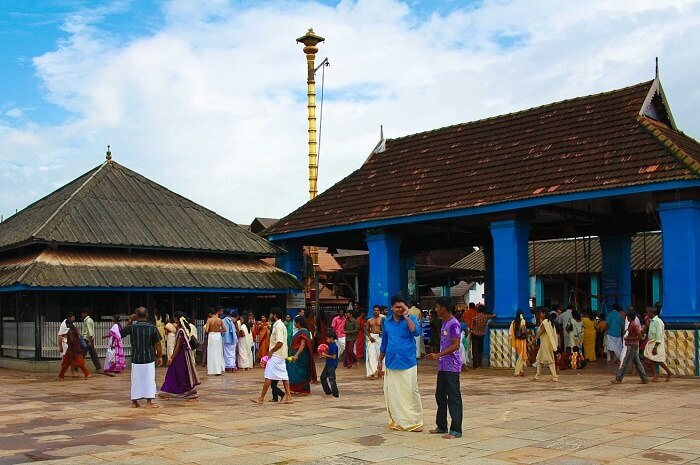 This 1500 year old temple holds great importance amongst the locals as they worship the goddess Chottanikkara Bhagavathy Amman and Keezhu Kavu Bhadrakali Amman which are considered as the healing goddesses. It is believed that continuous worship of these goddesses heals life threatening diseases. 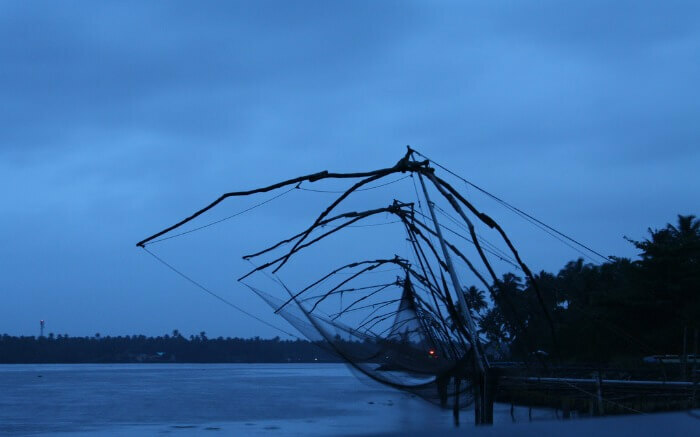 Locally known as Cheena Wala, the Chinese fishing nets is quite popular sight to witness around the beaches of Kochi. These nets are fixed at a particular location from the shore which are used through mechanical contrivance from across a distance of 20m across. This unique fishing style was introduced in the 14th century by the chinese traders. Capture the beautiful sight of the sunset to the backwaters while the sea and river waters offers a panoramic view. One of the largest amusement parks in Kochi, this place completely ensures the entertainment within its boundaries. From the water rides, land rides to the fascinating 3D rides, there are a lot of things to be explored at this place. The main attractions of the place are the caterpillar village, adventures of Chikku, Dashin cars, Fire Brigade, Sky wheel and Windmill. The amusement park is usually all packed up by families in the weekend. Malayattoor is a place where land, river and mountain meets which makes it one of the significant places to visit in Cochin. 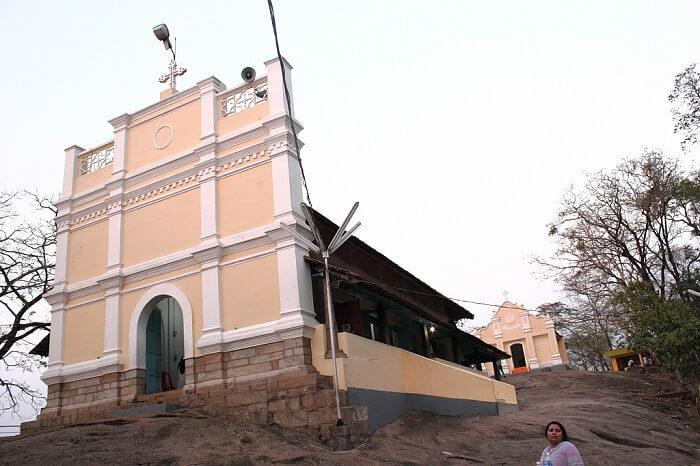 The Malayattoor hill is also home to the famous Malayattoor church which is dedicated to St. Thomas who had prayed at this holy shrine according to the locals. Throughout the year many pilgrims from South India comes to visit this church and it holds a great importance for the christians. Inside the church there is a life-size statue of the saint along with an imprint of the feet of Apostle on the rock. Not only this, the church is conferred as the international pilgrim centre for Christians worldwide. 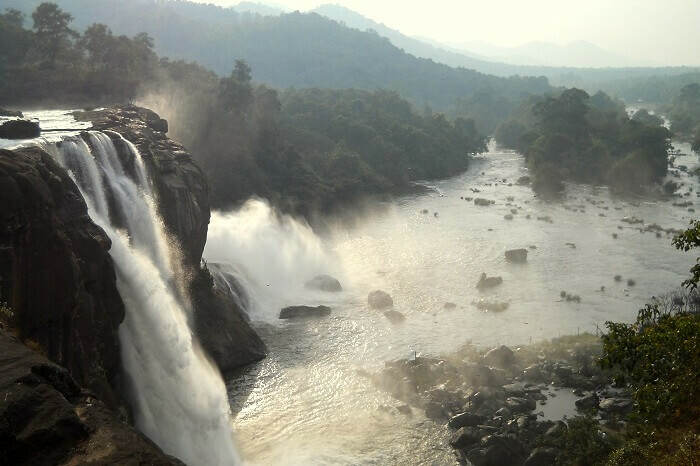 Situated at a height of 80m, the Athirapally Falls is the largest waterfall in Kerala and often called the “Niagara Fall of India”. 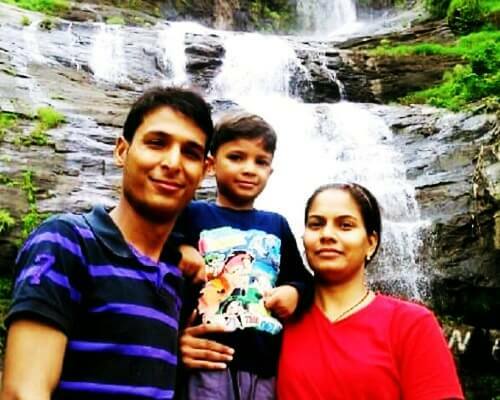 The falls is a magnificent avalanche of gushing waters which emerges from the Anamudi mountains in the Western Ghats. 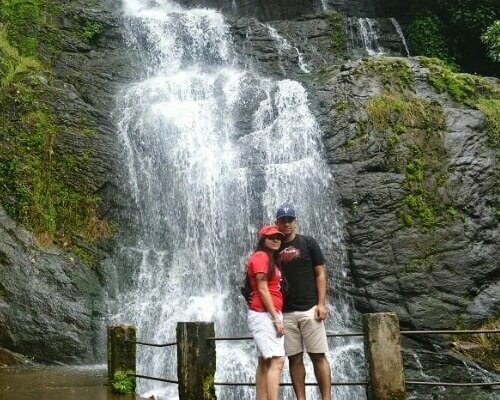 While driving up to see this waterfall, there are many theme parks and exotic resorts which can offer a great stay in the lap of nature. 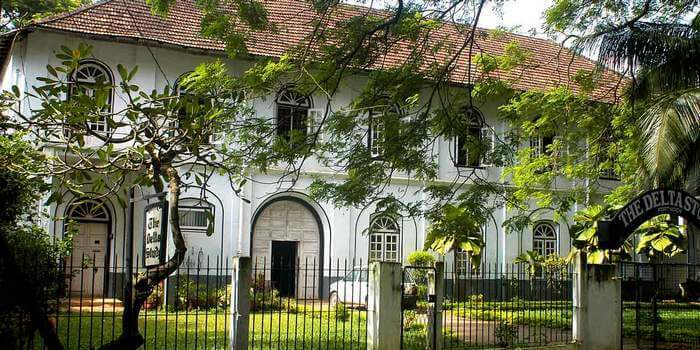 For the art and history lovers who want to explore the past of Kerala can visit this historic museum. This is one of the oldest history and art museum located in Kochi and founded by Mr. Madhavan Nayar who is a philanthropist. The museum has preserved the history of Kerala in the most artistic way with various statues and a doll museum which has around 150 kind of dolls in various styles. Apart from that the museum also showcases more than 230 paintings in its art gallery which are made by famous artists of the past like Raja Ravi Verma, MF Hussain and several international painters. Entry Fees: Rs. 50/- per adult and Rs. 20/- per child. Cochin with its never-ending treasures for tourists has a lot to offer. Each place with its traditional glory and magical scenic beauty will make your trip delightful and enchanting. 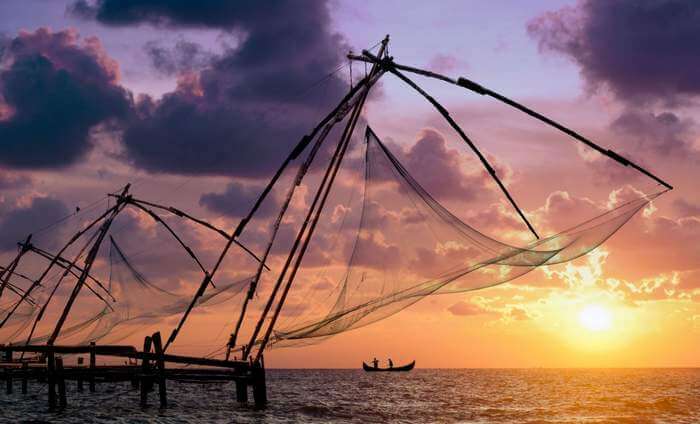 Planning a holiday well in advance has its own perks and while you decide which of these places should be on your itinerary, we say booking a trip to Cochin isn’t wouldn’t require much time! So, get your bags packed and get going! It’s time to treat the traveler in you! Q: What is Kochi famous for? 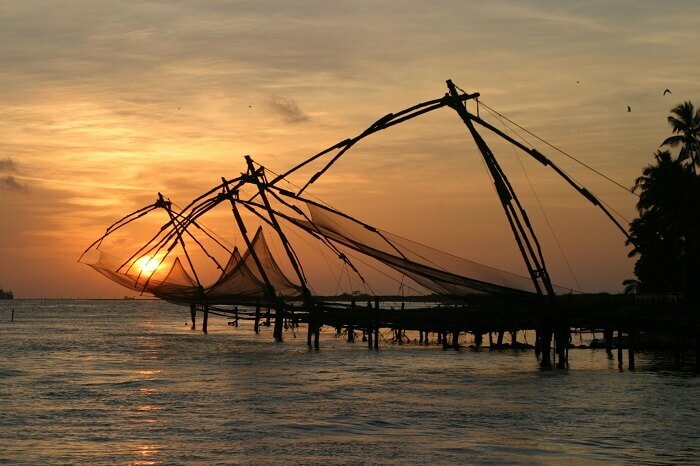 A: Kochi is famous for the Chinese nets, exotic beaches, ancient temples and heritage architectures. Q: What is there to do in Kochi at night? A: For the people who want to sip a drink and groove can head to the Mattancherry bar which is perhaps one of the best places to dine-in in Cochin after dark.